I-Pass is a leading maker in the nation producing oilless bearings and hydraulic seals & packing parts. The ISO 9002-certified company’s products are assured of their quality conforming to international quality standards. 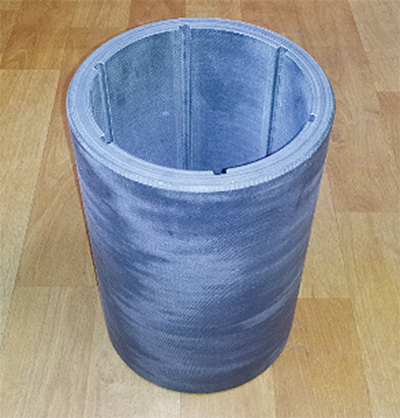 I-Pass’s sleeve bearing comprised of PET textile composite materials is in design intended for the pump operation of seawater and waste water. All of its exceptional features including superior heat resistance, chemical resistance and abrasion resistance are strong points for the buyers who are appreciating the real value the product can provide. What’s more, its overall improved quality and price competitiveness compared to those of its competitors is also noticeable. Selection of such sleeve bearings can be the best choice for operators who are engaged in the installation of various kinds of waste water treatment facilities and underwater pumps. And LUNA-15GR bearing is especially used for CWP(Circulating Water Pump), SLP(Seawater Lifting Pump), and COP(Condensate Water Pump) in power plants. Its entire flagship product is shipped to more than 20 countries including Italy, France, the UK, Germany, India, the U.S.A, the Middle East, etc. Global operators especially in emerging markets in China and Southeast Asian countries are increasingly speeding up their steps toward obtaining this product. I-Pass is committed to always working with its valued customers worldwide to endlessly provide solutions that significantly help global-related industry circles run more reliably, efficiently and economically. I-Pass will also seeks teady fast growth with its prestigious clients toward becoming a global leader in this industry.